The King Fisher Seafood Restaurant offers an unique seafood experience with unequaled ocean and beach views! Enjoy a light snack or a full three course meal in this trendy setting. 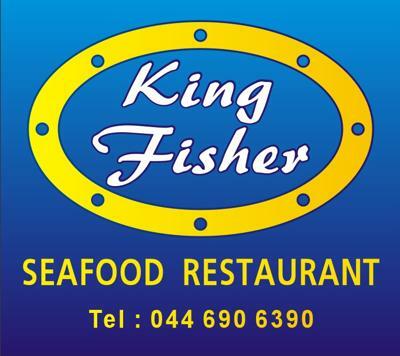 The King Fisher Seafood Restaurant caters for every need - make your choice from 7 different line fishes, prawns, calamari, crayfish, mussels, combination of these to ribs, ostrich and T-Bone for the red meat lovers. Be sure to visit the Sushi Bar - it's a delight! !